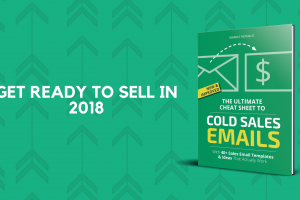 No matter if you are a budding startup, a growing small business or a well-established company – you need cold sales emails. They are your first contact with the people who have not heard of you, don’t know you or your business, but who could benefit from your product or service. 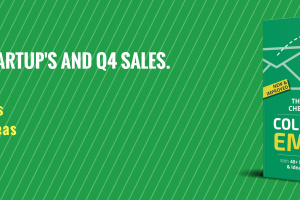 Cold sales emails can help you sell, schedule a meeting or even find a new employee. Then, how do you convince them that you are the one they should be buying from? Certainly, not by writing your life story in a 1000-word email, that much explanation should be reserved for your blog. The first thing you should do is find out if you do not know already, who your customer is and determine your Ideal Buying Persona. Are your customers startups, big Fortune 500 companies or SMBs? Do their purchasing cycles last a few months or a year? Who are the decision makers within that company? What are the roles of those decision makers? What challenges do they face on a daily basis? 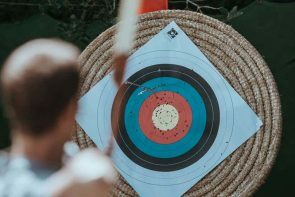 If you don’t know how to do this or don’t have the time to do the research in-house, you can hire a lead generation agency that does this for you. The most important part is that all the contacts you find or buy must be fresh and updated because a list that is not updated is worse than having no list at all. Writing to the right person is half the job done. Because they actually need your service and will be interested in what you have to say. Before you start typing on that keyboard, make sure you have researched your prospect’s problems and that specific industry’s problems. Social media, forums, comments below blog posts and videos, whatever you can find. Once you find out their troubles, it will be easy to spark their interest in an email. Jumping in their Inbox with a question that has nothing to do with their current situation will not do you much good. The ultimate solution is doing their work for them – you research their problem and offer an actionable solution that they can later only implement. Personalization is a given and the more you know about them, the more you will achieve. Just try not to seem like a stalker. The only rule when it comes to subject line is that you think of a something intriguing that will invite your prospect to open an email and read it. It can be in a form of a question that addresses the recipient’s pain points or aspirations, a pop culture reference and some believe you can even add an emoji. However, make sure the VP you are targeting is someone who will not be baffled by your emoji use. Whatever you do, avoid salesy words like “Free” or “Sale”. Using “FW” and “RE” in your subject line when it is not really forward or reply is a shady business that has been used countless times before. It does not make anyone open an email, it only makes the recipient feel fooled and angry. The purpose of a cold sales email is to intrigue the subject enough so you can continue the conversation. Plus, you will have enough time to present yourself in your short follow up emails or when you schedule a call. Do not waste anyone’s time by telling your company’s history or mentioning every single product you have. Leave a link in your email so that the prospects can see themselves what is in store. The only thing you should mention is the proof of success that is related to their business. Get to the point quickly, say what you can do for your prospect and try to avoid, so called, big asks in your very first email. Speaking of links, you should always add a link to your cold sales emails. It does not matter whether it’s a link to your website, a link to your blog or a link to your pricing page. The only important thing is that you link to the topic you are presenting in an email. Don’t even consider using the URL instead of hyperlinking. Just do not leave your prospects wondering about your website and spending their time to find that offer you were talking about in an email. And try not to write more than one Call To Action, because it will be harder for you to track what they were interested in and they will be confused about what the offer actually is. Just like in any other industry – the more creative you are, the more attention you will attract. This can be a little tricky for the sales reps since they only have their email and words to rely on, no fancy pro designed template. This is where your use of words, phrases and knowledge comes to a rescue. You only have your expertise to show and prove. The best way to know whether you followed these rules correctly is to always check your metrics and see how your emails are performing. You will know by the open, reply and click rates how well was your subject line, email body and CTA. Make sure you change only one aspect of your email at a time to figure out what could have been the problem. If you notice that a particular prospect is not opening, clicking or replying to your emails, the most professional thing to do would be to just send a “break up” email and inform them that you noticed they are not interested. If you need more help with your cold sales emails – download our Ultimate Guide To Cold Sales Emails or contact us.